Helmets are not a substitute for being “aware”. 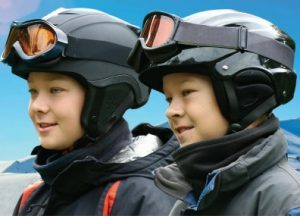 Being safety conscious on the slopes leads to greater enjoyment and better management of the risks that are present here as in all outdoor sports. Usage is highest in New Brunswick at 95 percent, followed by Newfoundland (75 percent), Alberta (73 percent) and Quebec (77percent).